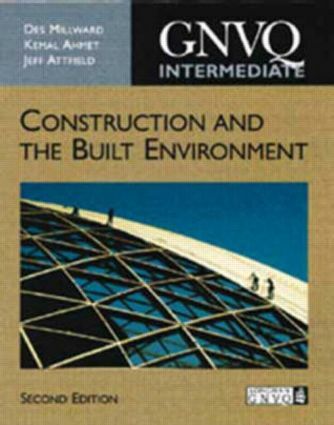 GNVQ Construction and the Built Environment: Intermediate provides essential coverage of the general skills, knowledge and understanding required for the four mandatory units in the Intermediate GNVQ. The book covers all the underpinning knowledge the student needs to know to satisfy the evidence indicators of the course and this is reinforced by worked examples, short answer questions as well as some more detailed assignments. This second edition has been revised in line with the 1997 content revision. While the text is primarily designed to satisfy the requirements of the Intermediate GNVQ course, it can also be used as a reference source at Foundation level.